to a whole new way to redeem. Redeem points for cash rewards. Put money towards your Shared InterestTM Visa* card account balance or pay yourself back for a recent purchase. Book flights, hotels, car rentals, vacation packages, and more with your reward points. Flexible options to treat yourself or someone special. Choose the Shared Interest Visa card that's right for you. Turn points into cash. With our flexible options, you could cover your next Shared Interest Visa card balance or pay off a recent purchase. Starting at 2,000 points ($20 rewards value). Earn double the points when you use your Shared Interest Visa card to book travel through this website or by calling us at 1.866.688.8242. Redeem points to make a donation to select charities. 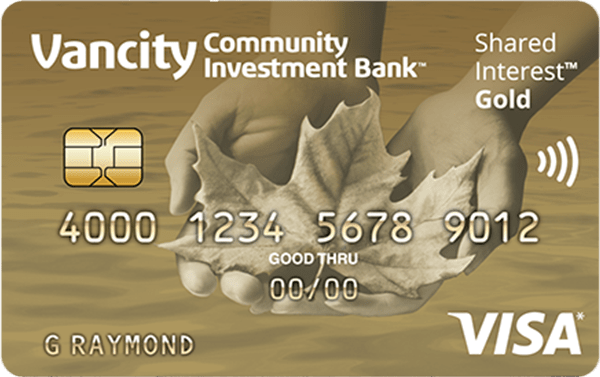 Every time you use your Shared Interest Visa card, we’ll donate 10 cents through our Shared Interest Fund™ to support not-for-profit initiatives aimed at affecting positive social, economic, and environmental change. 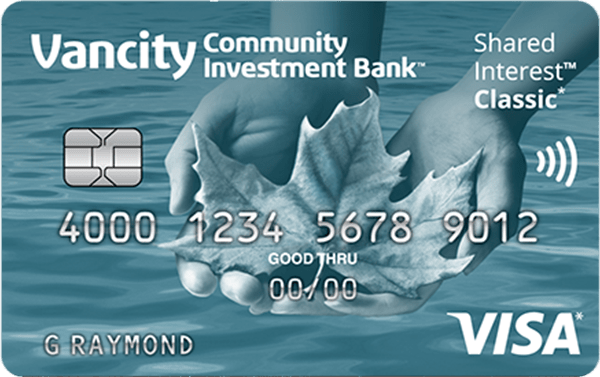 ™Vancity Community Investment Bank and Vancity Community Investment Bank Rewards are trademarks of Vancouver City Savings Credit Union, used under license. ™Shared Interest and Shared Interest Fund are trademarks of Vancity Community Investment Bank.